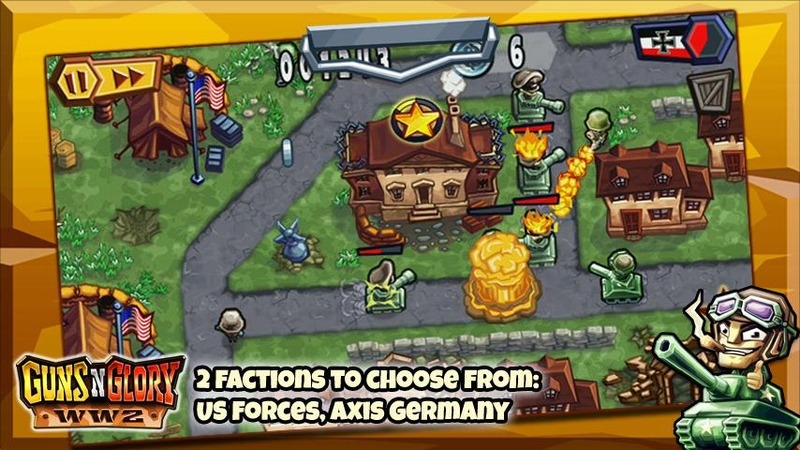 Popular Android game developer HandyGames has released a sequel to its well received Guns'n'Glory tower defence game called Guns'n'Glory WW2. 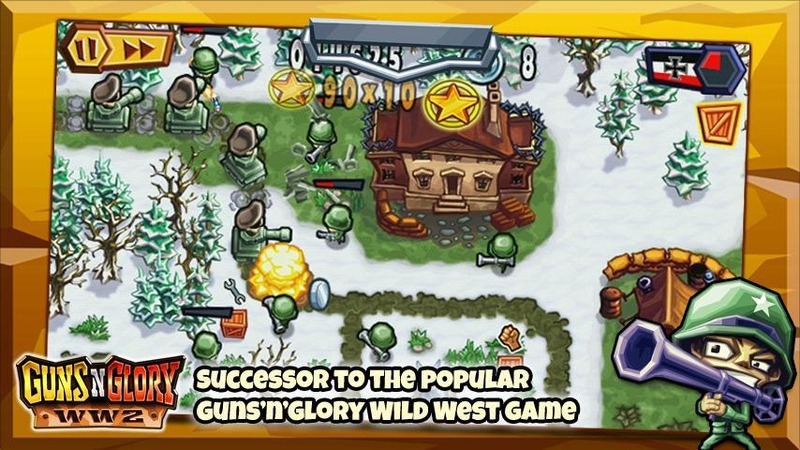 The original Guns'n'Glory was a Wild West themed game that put you in charge of mobile units which you had to place in strategic position in order to ambush settlers, stagecoaches and "the gold train". 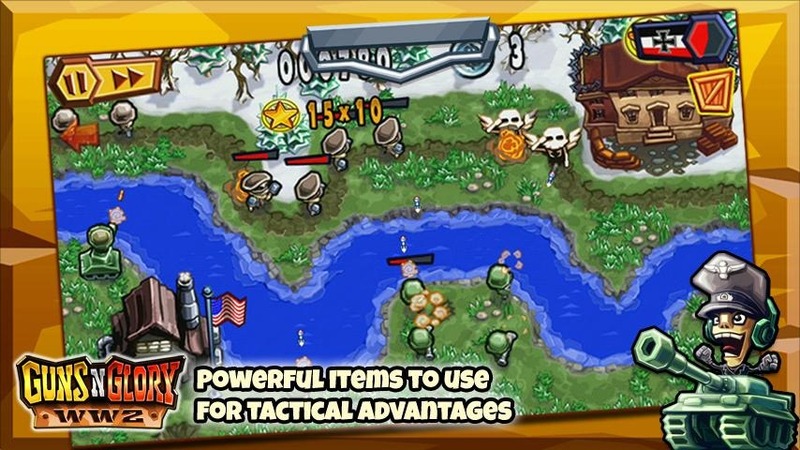 The original game took the concept of a tower defence game and put an intriguing spin on it by allowing the enemy units to fight back. So, what makes a great game that much better? Why a World War 2 themed sequel, of course! It’s the winter of 1944, Western Front. You and your boys are on guard duty when the enemy decides to throw wave after wave of troops at your position. Time to man the defences! 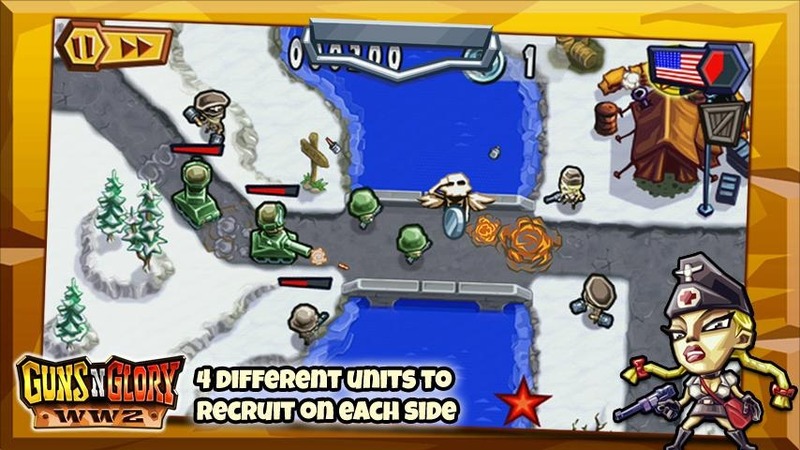 Recruit and upgrade troops, order tanks into battle and beat the enemy with superior tactics and firepower! 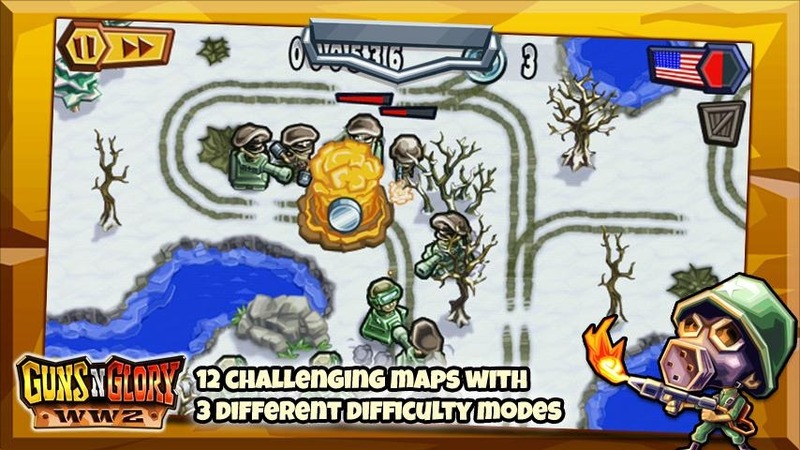 Call in air strikes to gain the upper hand and collect supply crates to boost troop morale! 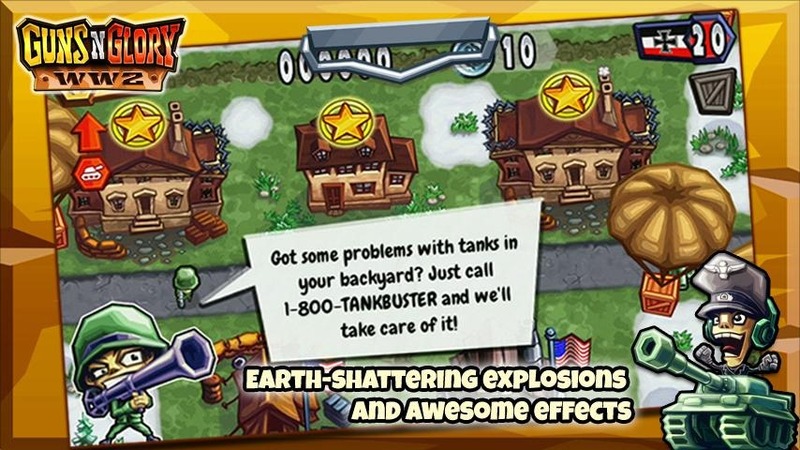 Put the heat on the enemy with your flamethrowers and have your medics tend to your soldiers! Take up the guns and earn your glory!